The aim of this project was to achieve a better understanding of the factors leading to long-term successful settlement outcomes for new migrants in the Rural City of Murray Bridge, with a focus on active citizenship and social participation in community life. 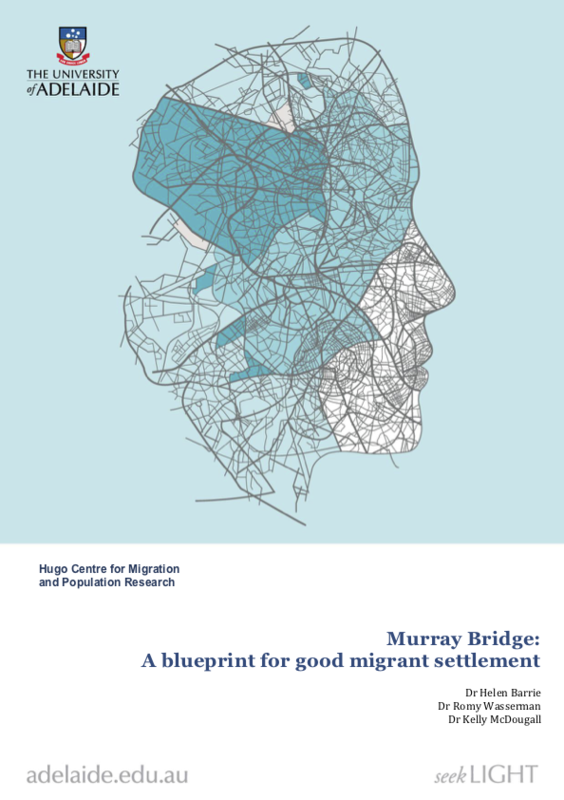 The study sought to understand the types and extent of migrants’ civic and social engagement in Murray Bridge, by asking migrants’ themselves about their experiences, as well as drawing on the observations of stakeholders in migrants’ settlement and long-term integration. This report presents the findings of this research, which are then applied to a blueprint for migrant settlement that can be used by other regional communities.